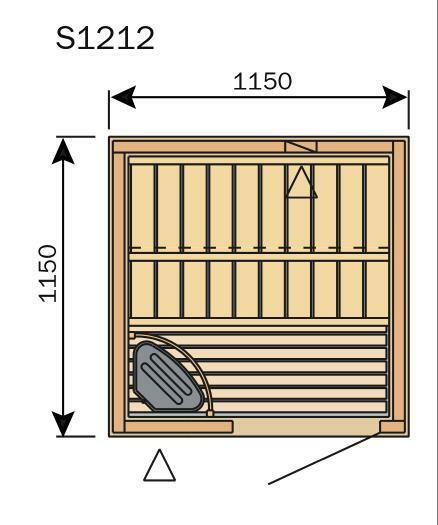 This is one of the small sauna set-up, second only to S1010 (1000 x 1000). 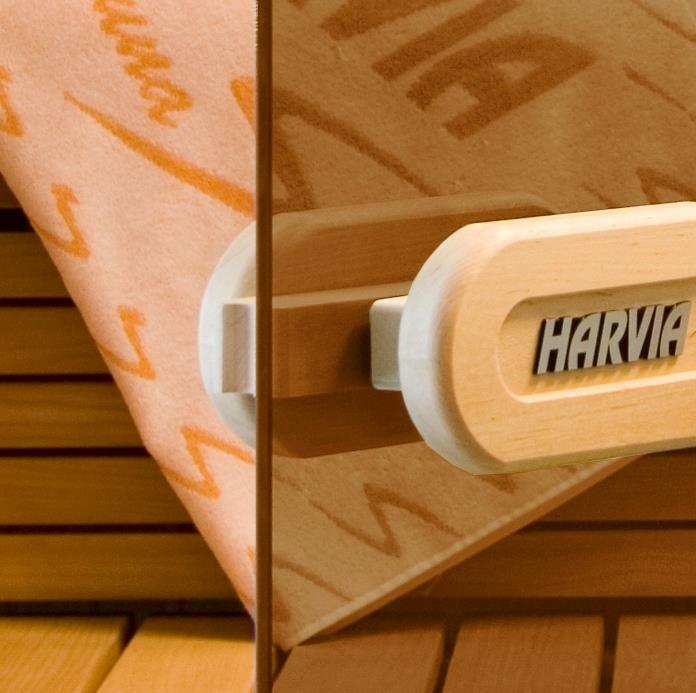 The model set-up is the S1212 (L. 1150 x W. 1150 x H. 2000) placed in a very little room in a beauty shop in Rovigo (Italy). 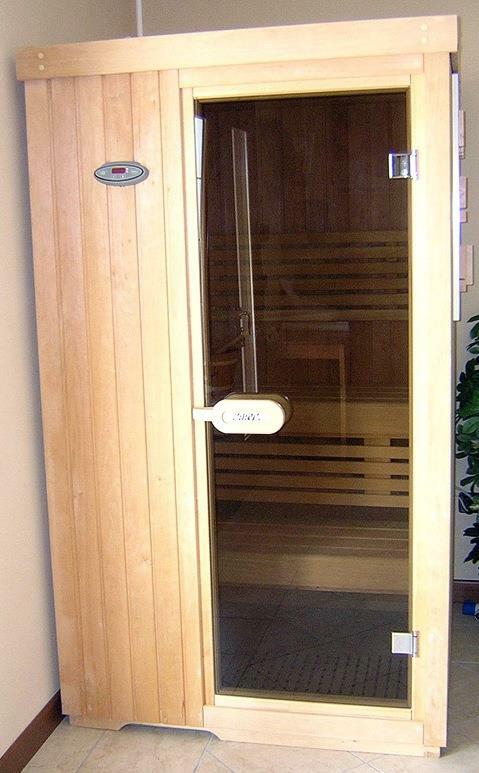 This sauna can achieve maximum 2 peoples and it is equipped by an heater mod. Delta D233EE - Steel (2.3 Kw - 230V) controlled by external digital control mod. Simply "easy touch". 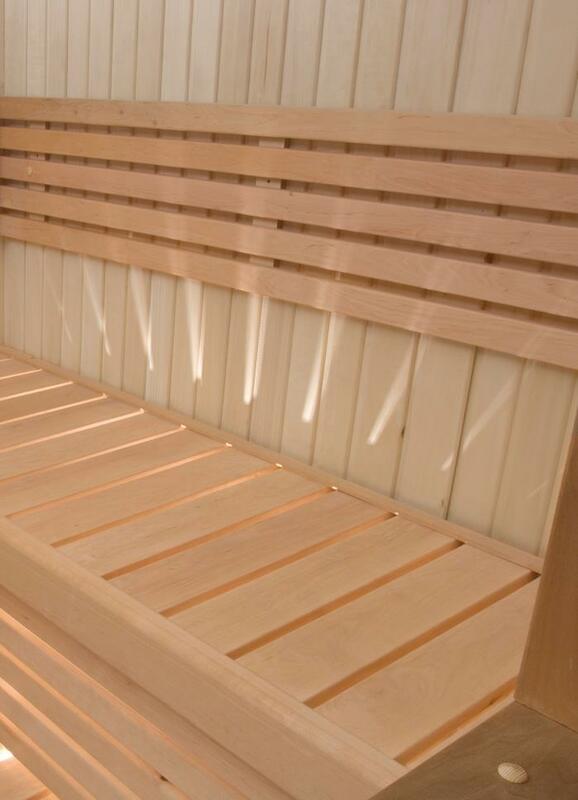 Walls and ceiling are made in Spruce Carelia, while the interiors are the standard Formula (Abachi) athermic and water resistant wood. Check up the details and take a look at Variant page.